aLittleBirdie.org: "Boys body held until the family can afford the final expenses"
"Boys body held until the family can afford the final expenses"
Mark Goodrich Jr, Gone, at just 12 yeas old. A service is being held Friday, July 20th at the Bethlehem Baptist Church in Sharon PA. at 11:00. 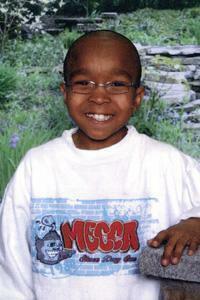 The Washington Funeral home will hold the 12 year old boy's body untii enough funds are raised to bury Mark. Please help us in our effort to help this family. The days-long search for a missing 12-year-old ended in tragedy Saturday morning when his body was pulled from the Shenango River in Mercer County. Divers and rescuers recovered the body of 12-year-old Mark Goodrich, Jr. of Sharon from the Shenango River after 8 a.m.
Crews from Ohio and Pennsylvania had been searching the area since Thursday after hearing reports that three boys were swimming in the river. “Resumed the search first thing this morning, and he was located in the river about 8:30 this morning,” said Chief Mark Menster, of the Sharon Police Department. Police narrowed their search in the Shenango River after video cameras from a nearby business spotted three boys on an abandoned railroad bridge. Mark Goodrich, Sr. claims his son had no business swimming with the boys. He thinks one of them pushed his son in the water. Police are hoping autopsy results will provide some answers. This is the second time in two years a young person has drowned in the Shenango River. Meanwhile, the family is making funeral preparations for the boy while they continue to wait for answers. All Proceeds go to the Goodrich family. Click here to lean more.